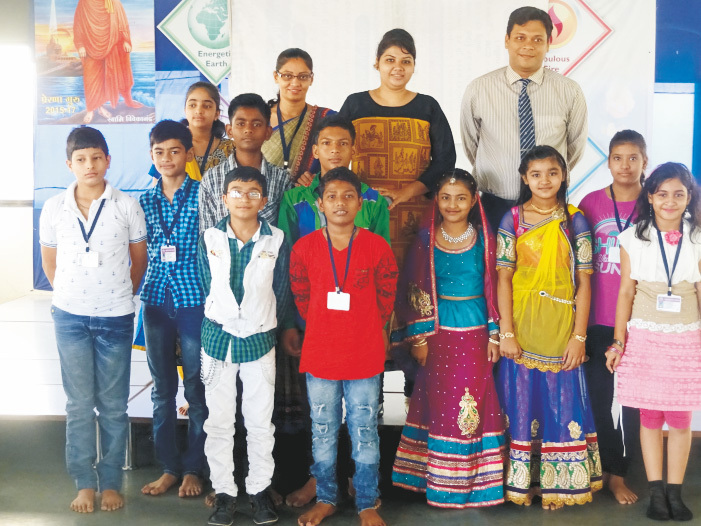 Inter school competition for the students of class Jr .kg and Sr.kg organized by Tapti valley international School was held at Gandhi Smurti bhavan on 11th Oct' 2015.The Jr .k.g students who participated in the Fashion show based on the theme Reduce, Reuse and Recycle stood 2nd amongst 15 schools of surat. 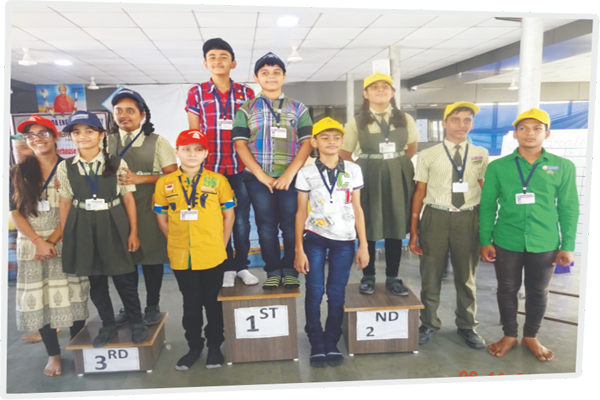 Inter School –Inter house Quiz Competition. 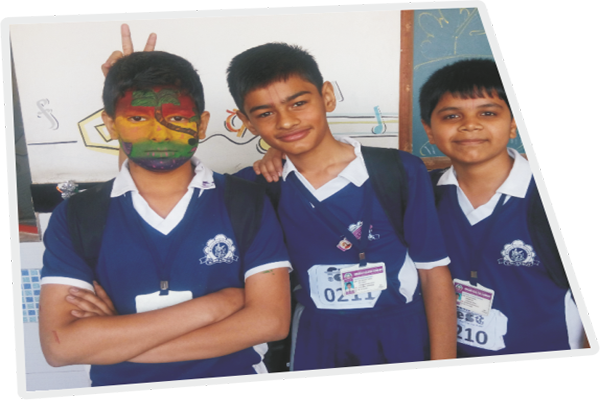 On the 6th Nov' 15 Interschool Inter House Competition Mst.Rahul A. Vishwakarma & Mst. Jay .P .Kathiriya of Wonderful Water House stood first. Mst .Pratham .Y. 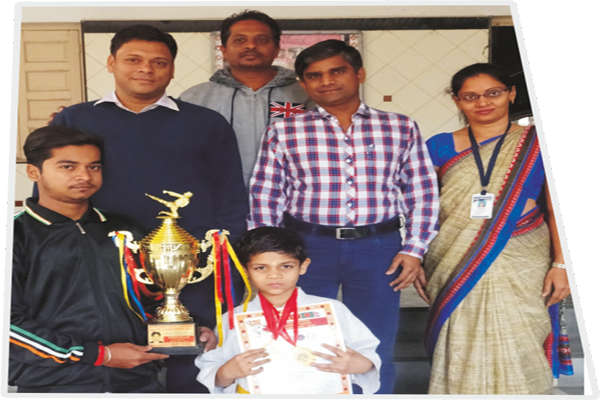 Tarasaria attained two gold medals in individual events of Kata and Fight held by 1st International YUZENKAI GOJU-RYU KARATE CHAMPIONSHIP 2015 organized in Andhra Pradesh. 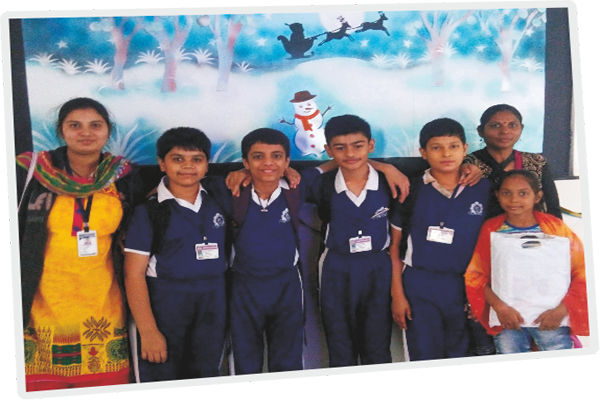 Inter School Quiz Competition was held in the month of November. 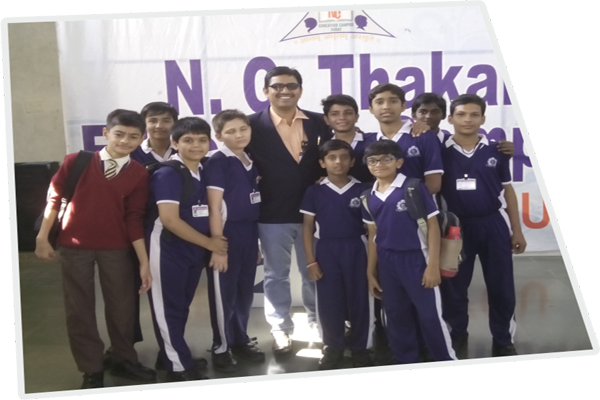 The preliminary test was conducted for the students and selected students participated in the competition. On the 6 Nov’15 the student Ms.Vaidehi J.Dhameliya won the IIIrd Position in Quiz Competition in MUS Pre-Primary English Medium School. 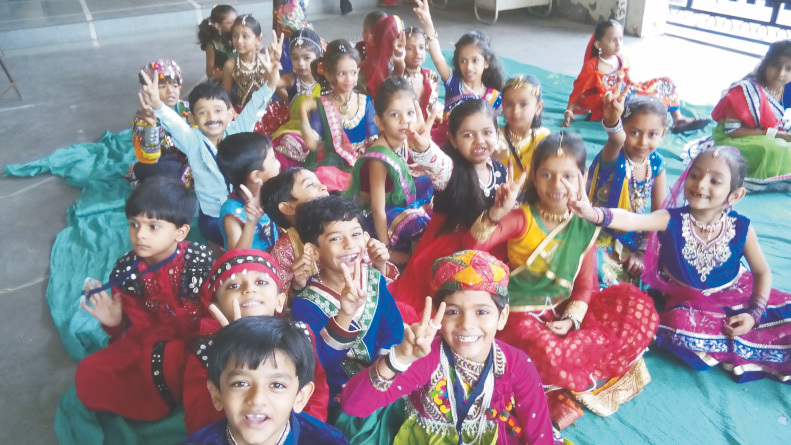 On the day of Miss Gorma and Mr. Kesariya competition, the students dressed up as Gorma and Kesariya. Girls were in Chania choli and boys were in shervani or dhoti kurta. In the month of August, we payed tribute to the martyrs who had given their precious life for our future. Our students paid their tribute in the form of role play. 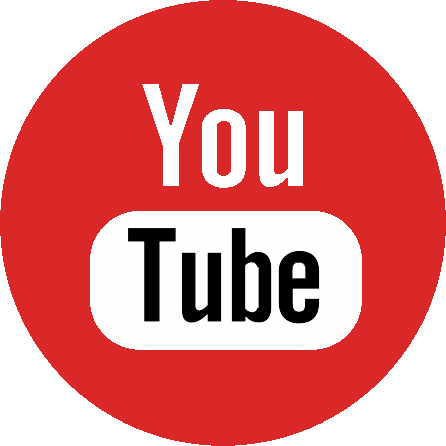 They enacted roles of various national leaders. 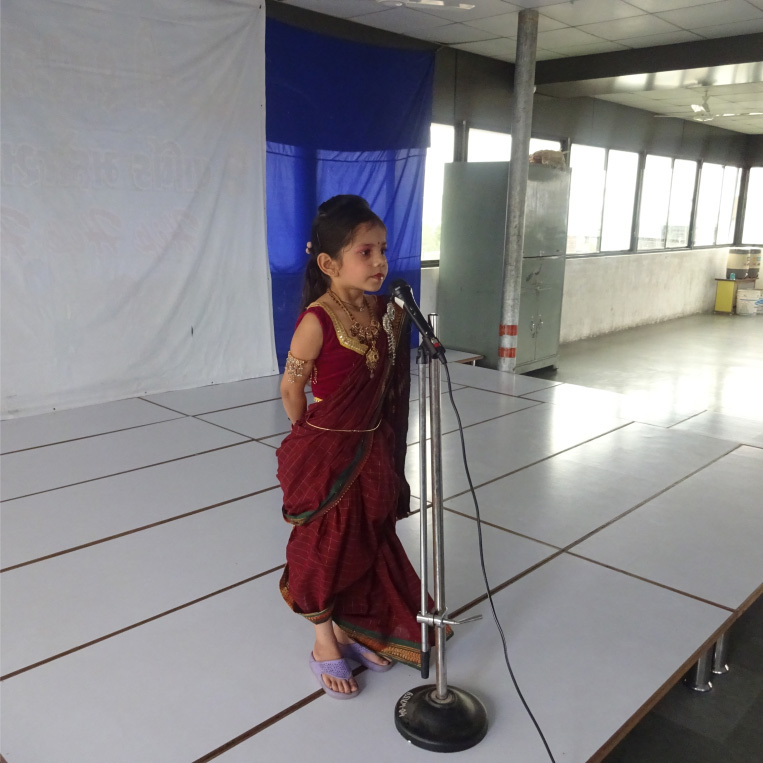 An essay writing competition, Patriotic Song competition was organized for the same. 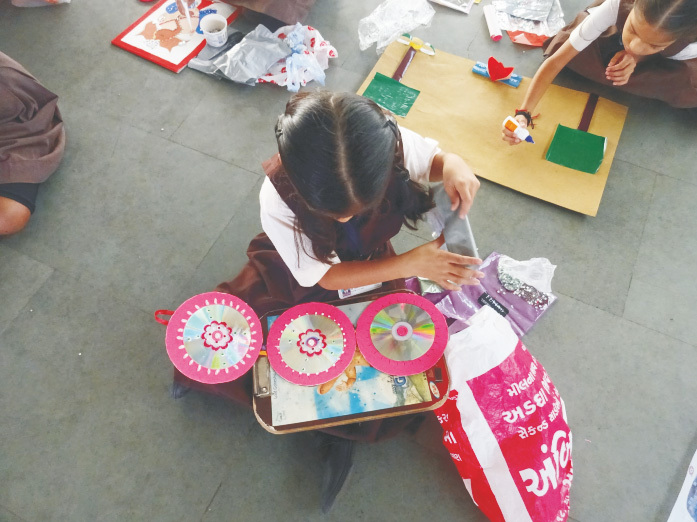 By conducting “Wall hanging making competition” students got a platform to show their creativity. 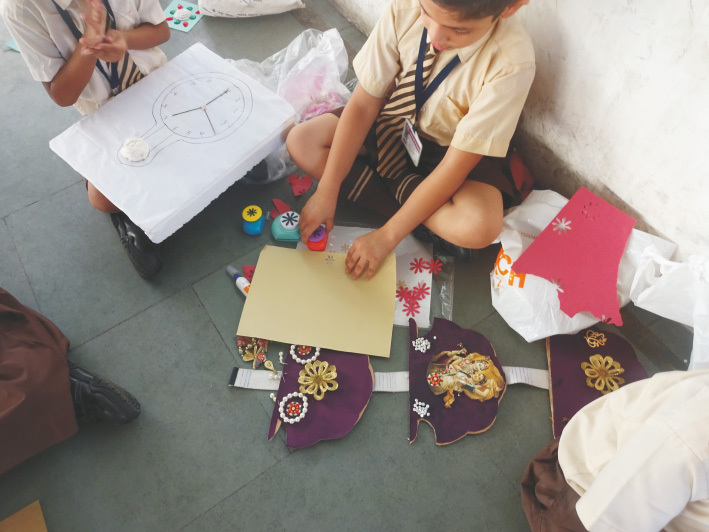 The students were very much determined to show their varied skills of art and craft. 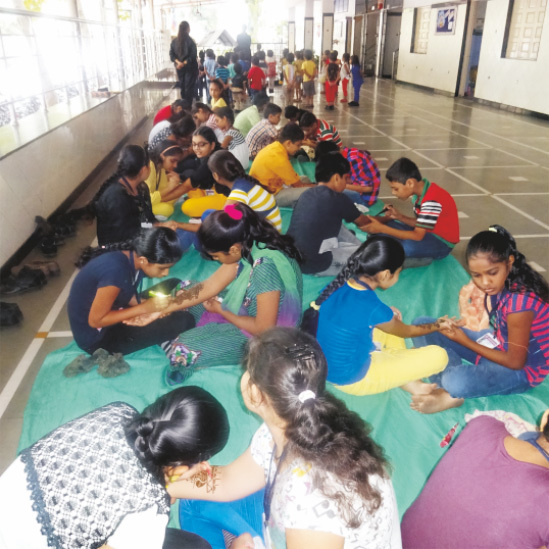 Mehendi Competition was organized for senior class students. The students participated with great joy to show case their artistic skills by various designs. 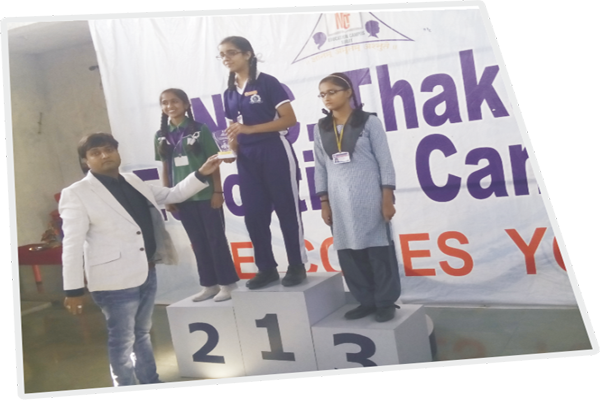 On 22nd September 2015, this competition was held for grade 1st and 2nd in our school. Students made Thermos, photograph, hut, etc. from the waste material. Students were very excited to participate and to make new things. This competition showed the creativity of students. Dancing is an art gifted by God. So to make students exhibit their talents, our school on 23rd September 2015 organized Solo Dance Competition for grade 6 to 8.